The Ruby-crowned Kinglet is a small songbird found throughout North America. Typical breeding habitats of this bird include coniferous woodlands in Canada, Alaska, northern New England and the western United States. Nests are cup-shaped and suspended from branches on the conifers. In winter months, this species migrates southward to the southern United States and Mexico. Some western populations are permanent residents. Recently, less disturbed populations have been discovered farther north. This species forages for food in trees and shrublands, eating insects, spiders, berries and tree sap. The conservation rating for the Ruby-crowned Kinglet is Least Concern. Ruby-Crowned Kinglet: Breeds from Alaska east across Canada to Newfoundland, south to California and New Mexico, and to the Great Lakes region and northern New England in the east. Spends winters from southern British Columbia and California south to Mexico and across the southern tier of states to southern New England. Preferred habitats include coniferous and deciduous forests. Song is a series of high-pitched "tsee" notes followed by twitters and 2-3 syllable calls. The Ruby-crowned Kinglet was described in 1766 by Linnaeus; its generic name is Latin for 'little king'. It differs sufficiently in its voice and plumage from other kinglets that it is occasionally afforded its own genus, Corthylio. They feed lower in the canopy than the Golden-crowned and characteristically hovers above a twig looking for caterpillars, aphids, and other insects. A group of kinglets has many collective nouns, including a "castle", "court", "princedom", and "dynasty" of kinglets. The kinglets are one of the one hundred eighteen families of birds in the order PASSERIFORMES (pronounced pas-ser-i-FOR-meez); a large taxonomic order that also includes the pipits, the titmice, and the gnatcatchers. 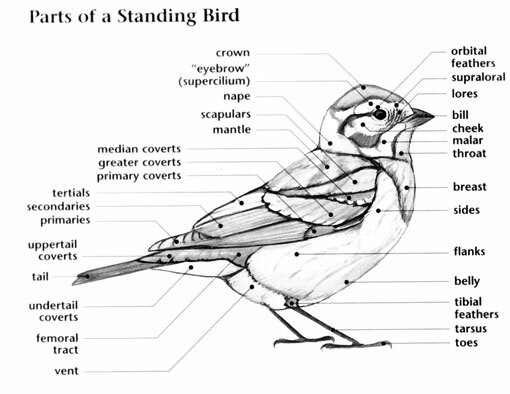 There are six species of kinglet in one genus in the Regulidae (pronounced reh-GYOO-lih-dee) family, a group of birds restricted to the forests of the Northern Hemisphere. In North America, two species of kinglets in one genus occur. These are the Golden-crowed Kinglet and the Ruby-crowned Kinglet. Among the smallest of Passerines, the kinglets are known for their diminutive size. Both the Golden-crowned and the Ruby-crowned Kinglets are also known for being very numerous during migration and in regions where they overwinter with hundreds of individuals often encountered ina single day. Members of the Regulidae are very small birds with medium length tails, longish wings, medium length, thin legs with strong feet for perching, and a rounded head with a short, thin, pointed bill. Kinglets have dull olive upperparts, and gray or whitish underparts with yellowish edging to the feathers of the wings. 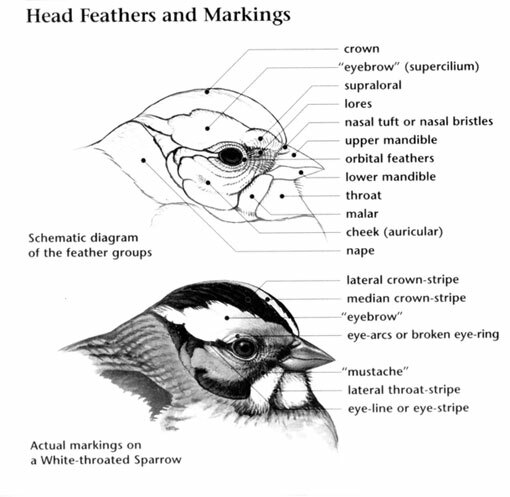 They also have black in the wings, in the tail, and some species have black markings on the face. All species have one or two white wing bars, white markings on the face, and distinctive patches of bright orange, yellow, or red on the crown. Members of the Regulidae in North America are forest birds although they also occur in second growth and scrub habitats during migration and winter. Both species breed in boreal and montane coniferous forests, and spend the winter in a variety of wooded habitats in the southern United States and Mexico. Kinglets migrate to the southern United States and Mexico for the winter. The kinglets do not nest in colonies but typically flock together with other kinglets and with other small birds outside of the breeding season. 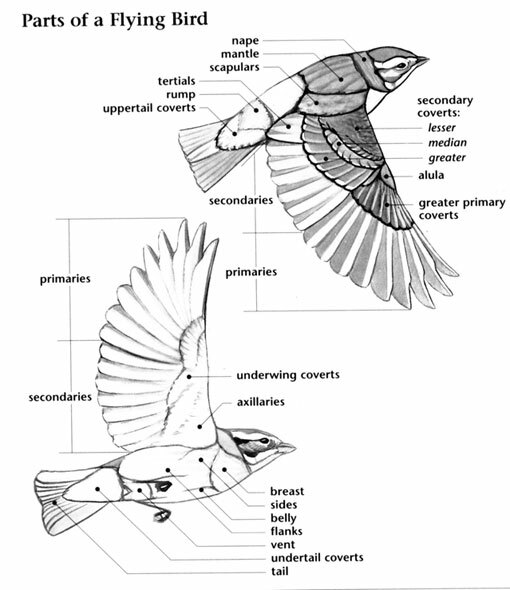 These arboreal birds forage for small arthropods in trees and bushes by gleaning them off of the vegetation while perched, and picking them off of the vegetation while hovering. Kinglets are very common, non-threatened species. The Golden-crowned Kinglet is highly tied to spruce-fir forests while breeding and prefers similar habitats during migration and winter. Formerly restricted to breeding in the boreal forests of the far north, this species now also breeds much further south in many areas with spruce plantations.